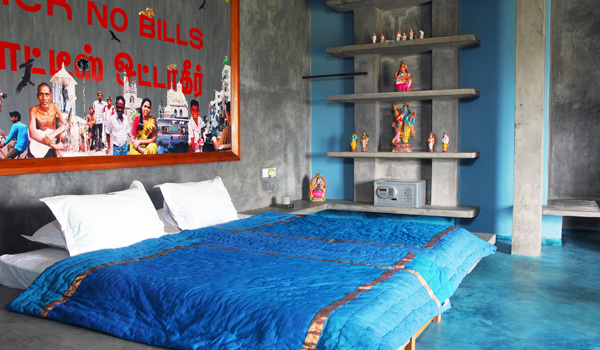 It isn’t surprising that, for a number of India’s top hotels, the traditional look is “in”. 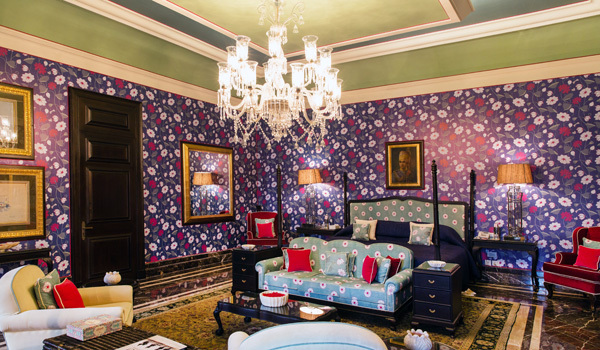 It helps that many are housed within restored palaces, havelis, forts, and other centuries-old venues, where a historically inspired decorating scheme is de rigueur. But these days, trends are changing, and we’re beginning to see a new flowering in contemporary Indian hotel design. 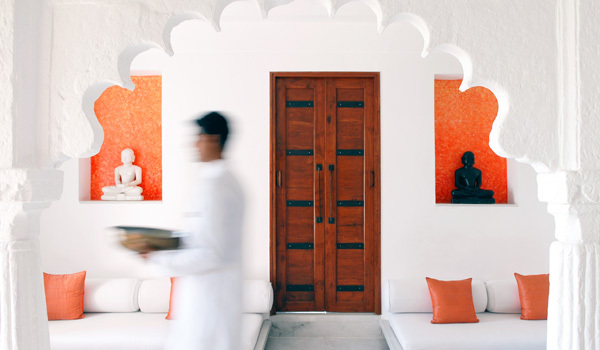 From renovated palaces that mix the classical with the contemporary to breezy beachside hotels that borrow their aesthetics from street art, these beautiful stays are paving away for the future of India’s hospitality industry. One of the new generation of hotels that are blending historic surroundings with contemporary design is the exquisite SUJÁN Rajmahal Palace, Jaipur. Even in Jaipur, a city famed for its numerous historic marvels, the palace is exemplary. One of the oldest and best-maintained in the Pink City, it was built more than 200 years ago and is still home to the Maharaja of Jaipur. Recently, however, the palace was given a restoration courtesy of designer Adil Ahmad, and the result is stunning: picture custom-designed wallpaper and bold patterns, glittering chandeliers, and other opulent details. 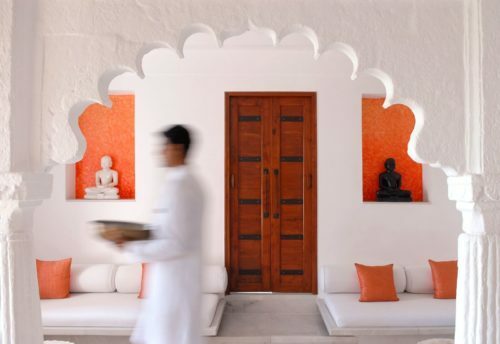 Another Rajasthani landmark of contemporary Indian hotel design, the stunning RAAS DeviGarh in Udaipur takes a different tack from the SUJÁN Rajmahal Palace, Jaipur. Where the latter builds rich layers of pattern and decoration, the former takes a spare and minimalistic approach, with its gleaming white rooms and neutral palette. But look for subtle touches that hint at its royal past, from gilded wall paintings to inlaid mosaics and a soothing spa filled with bowls of freshly cut flowers. Pondicherry is perfect for vacation-goers after a relaxed getaway – and the city’s Dune Eco Village and Spa does an admirable job of providing a laidback, beachy ambiance. This seaside stay goes straight for the modern and vibrant with its individually decorated bungalows, which feature graffiti-inspired art, bold hues and other quirky design touches. Those aesthetics are no accident: the hotel is also home to an Artists in Residence programme, and has hosted writers, filmmakers, artists, and other creatives within its colorful walls. Ranked among the finest boutique hotels in India, The Malabar House – a Relais & Chateaux property – is also renowned for its contemporary Indian hotel design. 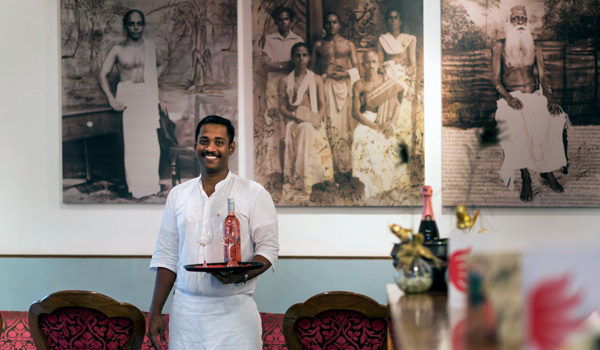 Located in a particularly evocative tract of historic Fort Cochin in Kerala, The Malabar House prides itself on being a “design heritage hotel”; its history dates to 18th century Dutch settlement. Since being refurbished, the hotel offers up a carefully curated collection of local artworks, including paintings, sculptures, and photographs that provide the perfect opportunity to engage with Keralan culture. If the Dune Eco Resort and Spa represents Pondi at its most vibrant, then La Villa captures a different – but no less aesthetically pleasing – side of the coastal city. Located in the city’s old quarter, the hotel building was renovated with the help of architects Tina Trigala and Yves Lesprit, who worked to preserve the original structure’s colonial heritage while also adding a new wing made of more modern materials. The result? 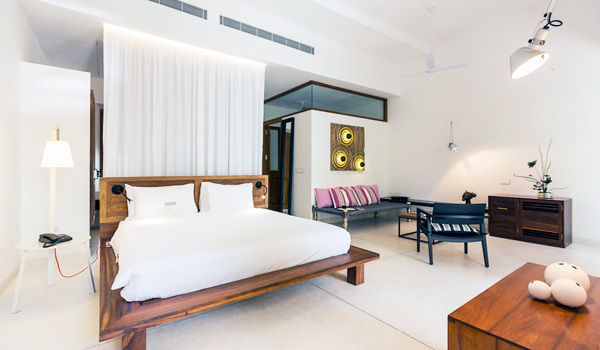 Minimalistic white walls, rich teak accents, guestrooms accented with locally sourced textiles and an ambiance that’s uniquely Pondicherry.